A highly detailed outline map of Ireland, with many west coast islands plotted, including some that do not appear on sources such as Google maps! You can colour it however you want, and the scaling will work at anything from thumbnail to poster size. 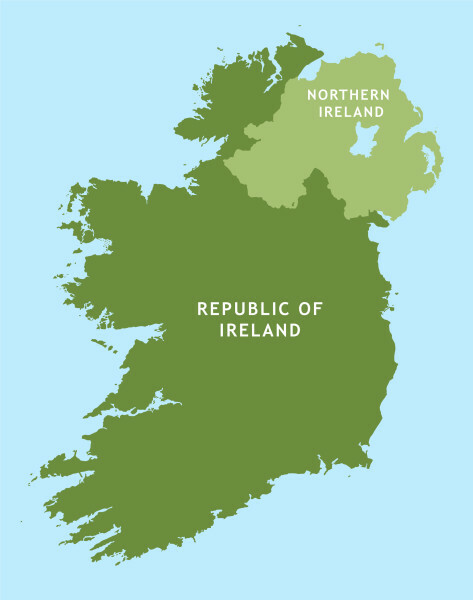 The boundary between the Republic and Northern Ireland is included if you want the option to show the two countries.